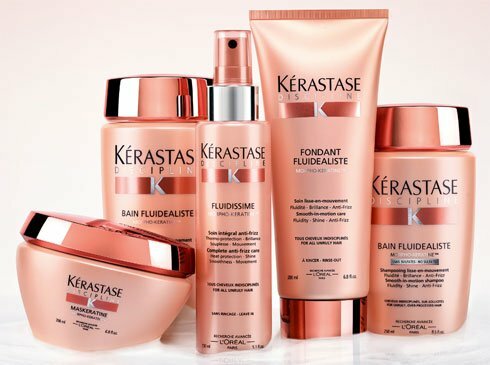 For clients who want the feel of Kérastase’s In-Salon Rituals at home, the new Discipline regimen is here. The line extends the benefits of the In-Salon Ritual but can also be used independently to control frizz and unruliness. Included is Bain Fluidealiste, Bain Fluidealiste Sulfate-Free, Fondant Fluidealiste, Maskeratine, and Spray Fluidissime.